BRAND NEW Complete Passenger Side Door Shell for 66-77 Early Ford Broncos. Includes Lower Door Shell and Upper Door Window Frame. This is an excellent reproduction of the original Early Bronco Door. 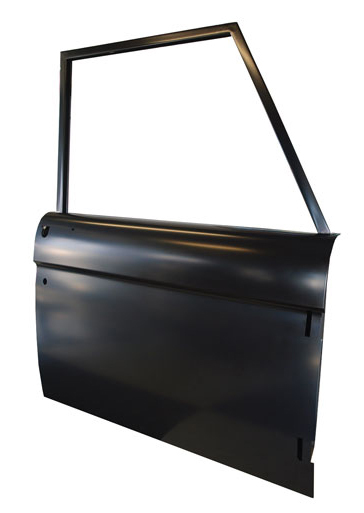 The window frames bolt in to the lower door for easy installation and removal just like the original 66-68 Bronco window frames did. NOTE: These door shells do have some areas that will require adjustment/modification for fitment. Please test fit prior to painting and make necessary adjustments.